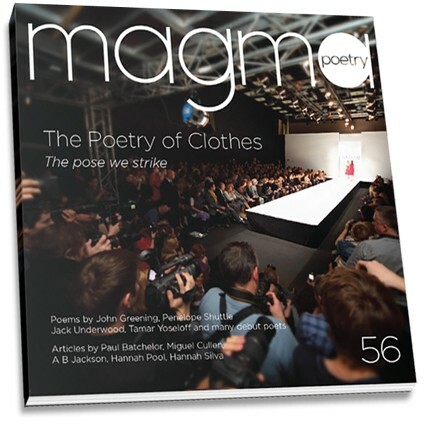 New issue of Magma is out now; I have a small poem in this one. With a different theme and guest editor for each issue, Magma is always interesting and the quality is consistently good. The theme for 56 is ‘clothes’ with the poets’ interpretations of this being wide ranging, and not all poems are themed. Good reviews, comment and interviews as well in this issue. Check out their website here.